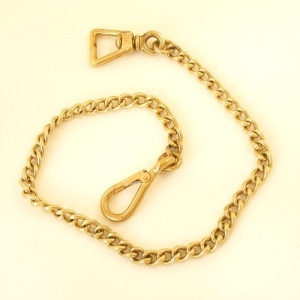 This top quality solid brass chain lead end was manufactured in the UK by F Martin & Sons. 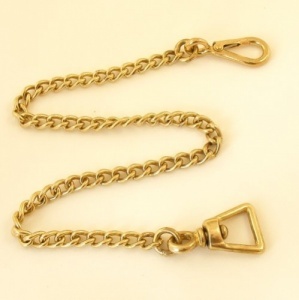 It's very strongly built, so equally suitable for use on a pony lead rein or a dog lead. Just attach a simple 19mm (3/4") wide leather handle in the length of your choice for a classy and super strong lead. Measures 59cm (23.5") from end to end. The triangular eye is 19mm wide internally, and the other end has a strongly sprung, side opening clip.